Most goggles with a suction-based rubber gasket will cause some amount of negative pressure, though without this pressure the goggles would leak. It’s important to note, this suction-based model doesn’t represent the only method of obtaining a water-tight fit. Pressure-based goggles use a soft material and the pressure created by the headstrap to keep water out. 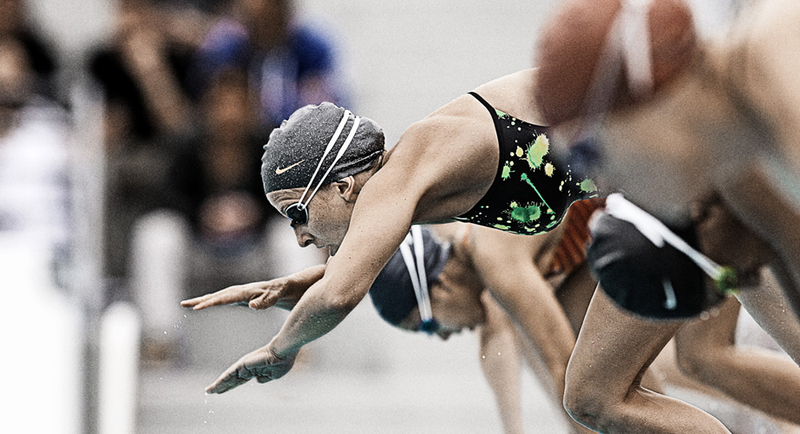 By using some of the principle associated with suction-based silicone gaskets and some of the best features of a pressure-based gasket, Nike Swim created the first gasket specifically designed for the female face. Softseal is made of non-toxic and hypoallergenic EVA foam, similar to foam used in the cosmetic industry for makeup applicators. Softseal provides a soft and watertight seal that won’t damage the sensitive skin around the female eye. Be sure to check out the Nike Remora Fem Goggle and the Nike Hydra Fem Goggle to learn more about the benefits of Softseal technology.